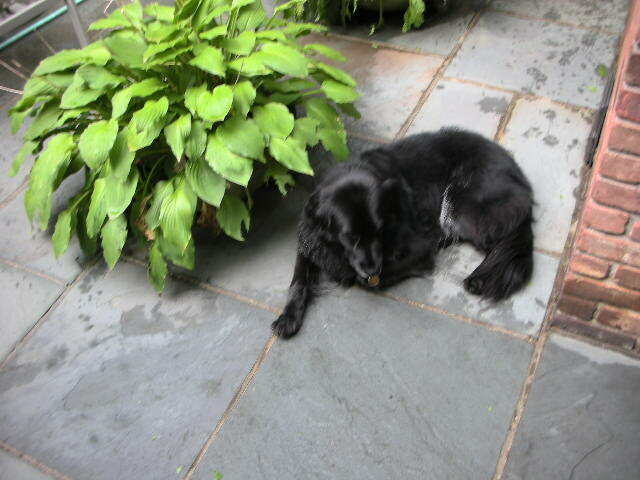 He's been at it all day poor baby, 1000+ sq' of Bluestone that was black and green with mold and algae. Accompanied at all times by his faithful companion. Neither of them wants to come in until the job is completed. I'm just off to put the exterior lights on. I think they could be there all night, too.